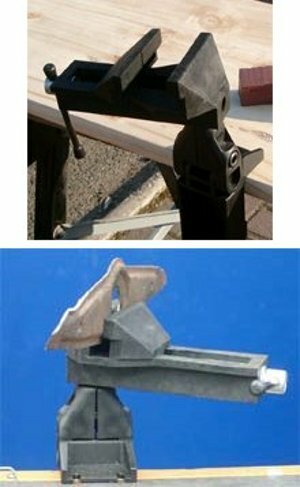 Swivel clamp fits onto your combination clamp, and lets you hold your work at any angle. That`s right, it grips your material and swivels full circle, up and down, 360 degrees horizontally and vertically. The jaws open from a delicate crack to inches making the swivel clamp ideal for jobs from soldering to holding wood or pipework. Comes with hex key to attach firmly to your combination clamp. Swivel Clamp text, images and video are copyright.